An honours list of the globe's 500 biggest brands has seen five Middle Eastern groups being ranked among the world most valuable companies; with three located in the UAE. The world's 500 most valuable brands across all sectors and countries are ranked in an annual report by Brand Finance, the world’s leading brand valuation and strategy consultancy. The 2018 edition of the Brand Finance Global 500 list was unveiled at the World Economic Forum in Davos, Switzerland. Abu Dhabi National Oil Company (ADNOC) - a new entrant to the power list - was named as the most valuable B2B brand in the MENA region, with a brand value of US$8.9bn, while Emirati telecoms giant Etisalat - valued at US$8.3bn - remains the most valuable B2C brand in the Middle East and Africa. Etisalat group of companies, which operates in 15 countries, also boasts the region’s largest portfolio of brands including Mobily, Ufone, Maroc Telecom, and PTCL, and has seen an 8 per cent growth since last year, resulting in it also becoming the first portfolio brand in MENA to break the US$10bn barrier. The Abu Dhabi giants are among a handful of Arabian Gulf companies listed in the world’s most valuable brands for 2018, compiled by consultancy Brand Fin­ance, with Amazon beating Apple and Google to be named number one in the rankings. The consultancy compiled its Global 500 ranking by evaluating a company’s "brand strength" based on three key factors: marketing investment, stakeholder equity and business performance. ADNOC - which has announced plans to increase its oil production capacity to 4 million barrels per day by the end of 2020 and is the first regional oil and gas brand to be featured in the Brand Finance Global 500 - was ranked in 206 out of 500 companies. Dr Sultan Ahmed Al Jaber, ADNOC Group CEO and UAE Minister of State, said the state-owned oil company has been undergoing "a significant business transformation, underpinned by innovative partnerships and investments that are key to unlocking and maximizing value across our full portfolio". He added: "ADNOC’s transformation and growth strategy has been supported by transparent, proactive and strategic communications and marketing, which have played a critical role in reinforcing the scale of our business, the size of our contribution to the UAE’s economy, and the extent of our impact on the global oil and gas industry. "This honour is a well-deserved recognition of the hard work and dedication of all our employees who are reshaping the company, as we forge ahead with our integrated 2030 growth strategy and further unlock, enhance and create value from all our resources." David Haigh, CEO of Brand Finance, ADNOC's brand value had "demonstrated significant growth". "Its debut in our ranking of the world’s top 500 most valuable brands, and as the most valuable Middle East brand, is a testament to its on-going commitment to becoming the National Oil Company brand of the future and its role as a powerful catalyst for economic growth, diversification, in-country value creation and foreign direct investment into the UAE," he said. Ranked 226th on the Brand Finance list, Etisalat, which has seen 8 per cent growth in brand value since last year, has retained its position as the most valuable portfolio brand in the region for the second year running. Operating across Asia, the Middle East and Africa, the consultancy firm noted that Etisalat’s success can be attributed to its customer services loyalty programmes, "user-friendly" app as well as strategic sports and events sponsorships such as the English Premier League football team Manchester City. Saleh Abdullah Al Abdooli, CEO of the Etisalat Group, said the telecoms giant "was proud to achieve the recognition", adding that it was "thanks to the UAE leadership’s support, vision and encouragement that helped Etisalat achieve this significant milestone surpassing some of the top renowned regional brands". Haigh said it was "is a real testament to the leadership of the UAE that Emirati brands are leading the charge for the Middle East, among the world’s most valuable brands." 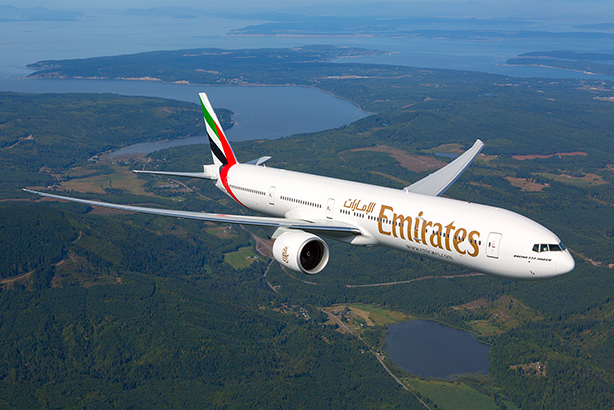 Fellow UAE brand and Dubai airline carrier Emirates scaled up to a value of $6.3bn from $5.3bn last year and remains the strongest Middle East brand in terms of factors such as customer familiarity and corporate reputation. Other Middle East firms included in the ranking were Saudi Arabia’s state-owned telecoms giant Saudi Telecom Company, which came second in the region. It ranked 253rd, down from 251st last year, but its brand value increased 7 per cent over the period to $6.2bn, according to the report. Amazon maintains its title as the world’s most valuable brand in the Brand Finance Global 500, growing nearly 25 per cent to US$187.9bn, over US$30bn more than second-place Apple. Haigh said: "There is a reason the saying ‘do not put all your eggs in one basket’ has been around for centuries. The advice is clear: a business cannot concentrate all its efforts and resources in one area and expect to survive long-term. The brands that evolve and experiment in new sectors, like Amazon and Microsoft, are the ones who will continue to outperform competitors; while the brands that are slower to adapt or diversify, like Walmart and Apple, will miss a key opportunity to grow brand value." Chinese brand presence across the Brand Finance Global 500 increased to US$1307.4bn, breaking the US$1 trillion mark for the first time.